Denna produkt ger dig 81 bonuspoäng. Trailer-mounted motor boat creme/pastel turquoise, 1961. 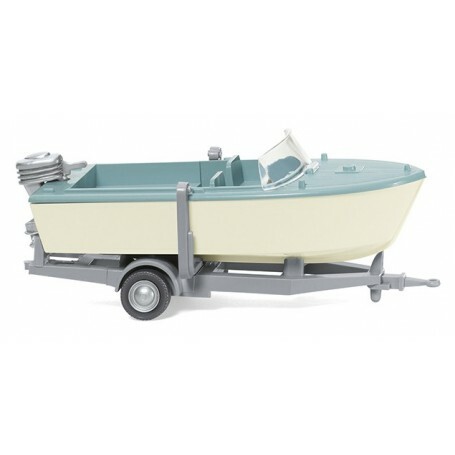 Deck and shelf in pastel turquoise, hull and steering wheel in cream, outboard motor painted silver, boat trailer with mount in silver-grey. Wheel in silver.